On Saturday, December 30th enjoy free hot chocolate at Winterfest, compliments of TD Bank. On Saturday, December 30th enjoy free hot chocolate at Winterfest, compliments of TD Bank. 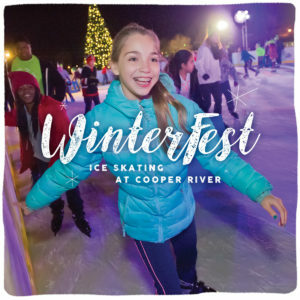 WinterFest Ice Skating on the Cooper is sponsored by TD Bank and presented by the Camden County Board of Freeholders. For more information about WinterFest, Click here.